The product, Kong toys, were used for enrichment of our shelter dogs. 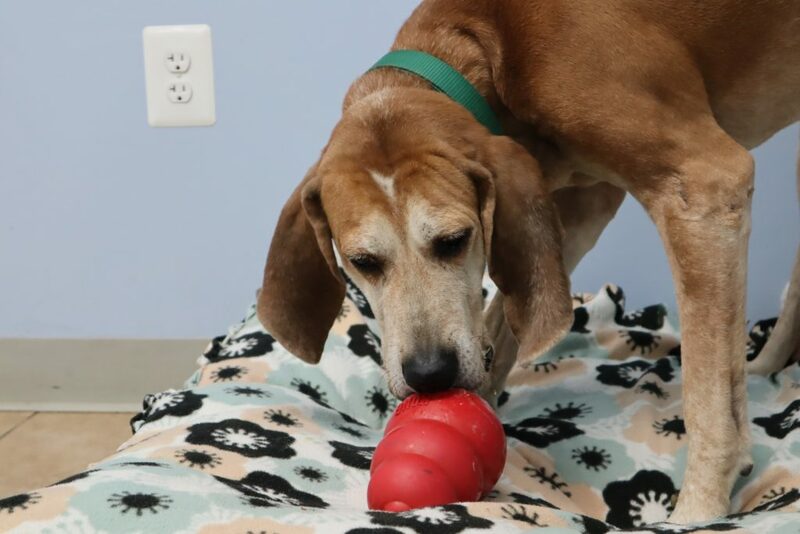 Kongs help nearly every dog that comes into the shelter as they are used for daily feeding and enrichment. They are especially helpful to those dogs that are extra stressed in their kennel. They help so many dogs feel more relaxed, comfortable, and entertained while being in their kennel. 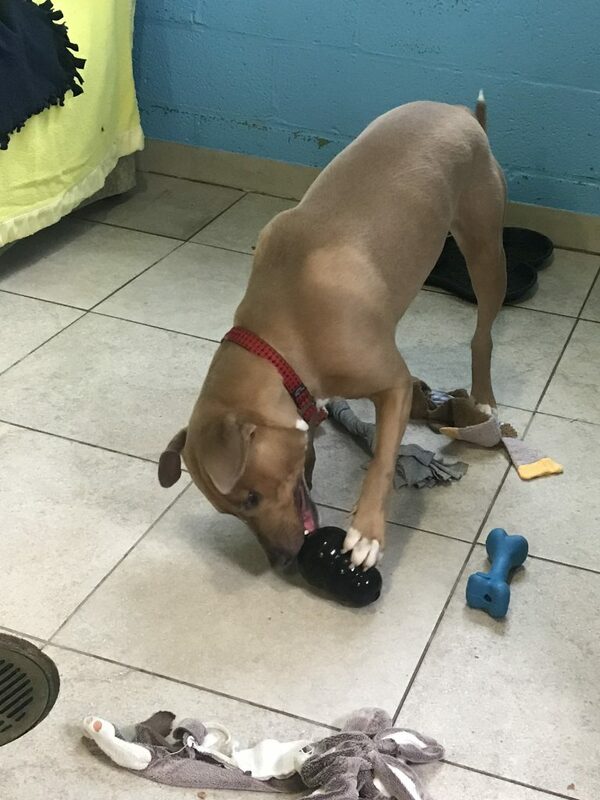 Kongs really are wonderful for improving the daily life of each of our shelter dogs. At least 55, but honestly the number is infinite because we continue to use the Kongs on a daily basis. 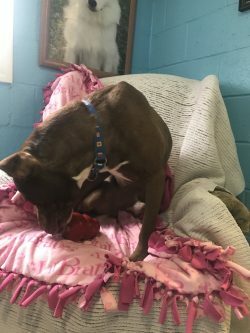 Jet (first photo), an energetic 9-month-old pit-bull mix, was having difficulty settling down in the kennel. 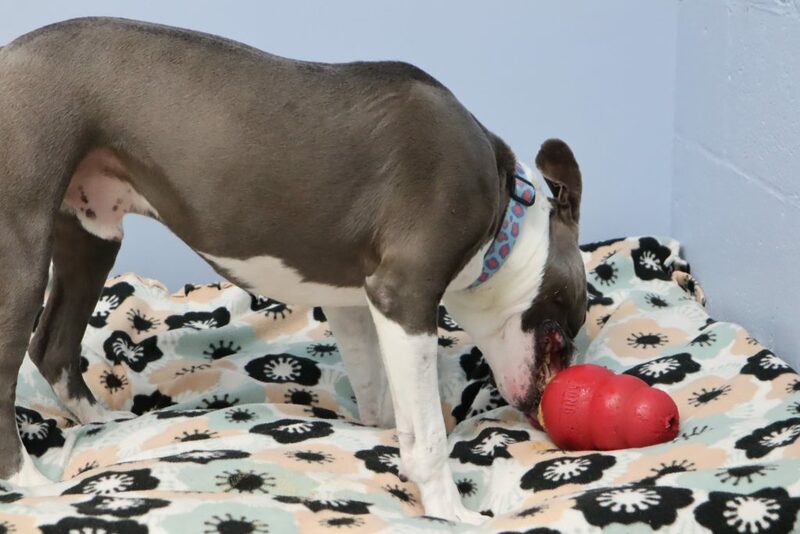 To help him with his excess energy and stress, we give him a Kong toy two to three times a day. The Kongs are filled with kibble, treats, and peanut butter, either at room temperature or frozen. They keep him stimulated and happy, and he is overall much easier to work with and show to interested adopters.